Columbia County Real Estate Specialists is proud to offer these fine homes and country estates for sale. Take your time to browse our gallery of exceptional properties throughout Columbia County. Call us at (800) 290-4235 and we will be happy to assist with your search in any way that we can. The right home, land parcel or country estate can be found with the Realtors® of Columbia County Real Estate Specialists. Extremely unique home with one of the finest views Columbia County has to offer. Perfectly sighted at the crest of Ridge Lane in Hillsdale this California Deck House was designed to capture all the majestic, breathtaking views. Open floor plan w/three++ bedrooms, Art Studio, Game room, Master Bedroom w/private screened in porch and lavish bathroom w/Jacuzzi tub, Unique Spiral Stair-case, 2 wells, all new decking, 2 electric panels, new stone patio, situated on secluded 3.60 acres with stunning views from every room. Wood burning fireplace in high cedar ceiling living-room. Beautiful Oak floors throughout, Cedar Ceilings w/Mahogany trim. New roof 2006, Stiebel Eltron high efficiency heating system. HOA owned swimming pond with maintained walking paths. Close to all the Berkshires has to offer: Fine dining, local ski areas, Music at Tanglewood, Jacobs Pillow dance, Museums, Kirpalu and more! 2 hours from NYC & Boston. 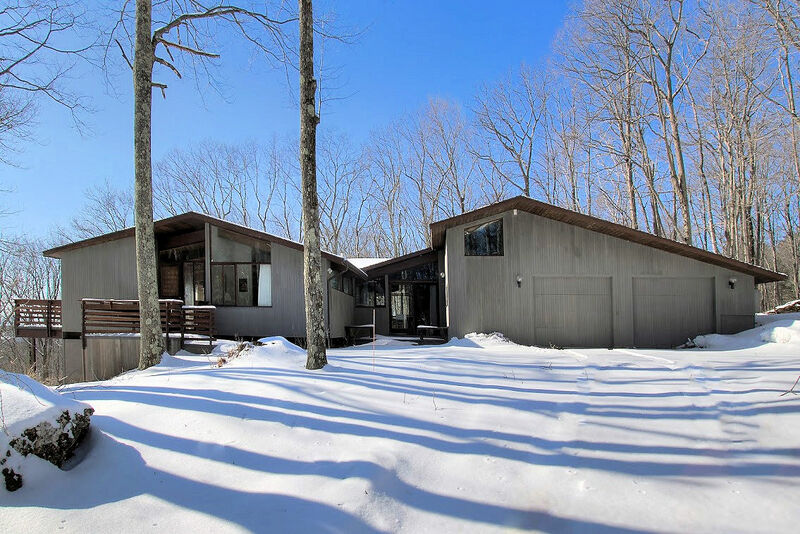 100 acre sanctuary - This 4000 sf contemporary is privately sited, amidst 100 acres, on a hilltop at the end of a half mile driveway with stunning panoramic views of its 3 acre lake and the distant Catskill mountains. Meticulously built and beautifully maintained this is the perfect country retreat complete with a large wrap around deck, a screen porch with an outdoor fireplace, large open space living with fireplace, dining and a chefs kitchen all with incredible views. The first floor also has a separate den with bath or use it as a ground floor bedroom with ensuite. the second floor consists of 4 bedrooms each with their own bath and views, views, views! The third floor is unfinished with plumbing roughed in for 2 baths - add 2 additional bedrooms or a loft like living area. Full finished basement with media and play room. Once you arrive there's really no reason to leave! Minutes to Berkshires. 2 1/2 hrs to NYC. Artist Retreat or Copake Lake Moguls Dream Come True! Artist retreat or Copake lake moguls dream come true! 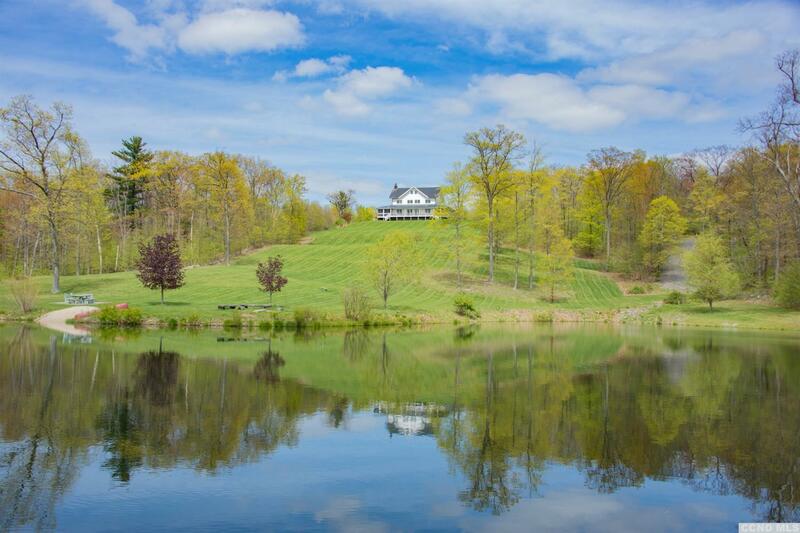 Sweet sanctuary on almost 55 acres. Water frontage on multi bodies of water, i.e. Friends Creek, Zeky Pond and lake rights on Copake Lake! Property has road frontage on both Pond Hill Road and 78 feet of shared dock rights on Copake Lake Road. This get away, is really about the land, however a big Plus is the sweet cottage w/cathedral ceilings and exposed beams, hardwood floors though-out home and marble floors in master bathroom. Spiral staircase in kitchen leading to basement, could easily be converted to second bedroom. Zeky Pond is known for Bass fishing, Copake Lake is known for boating & water sports. Quiet, secluded, waterfront/water rights on three different sources of water. Shared dock area on Copake Lake. 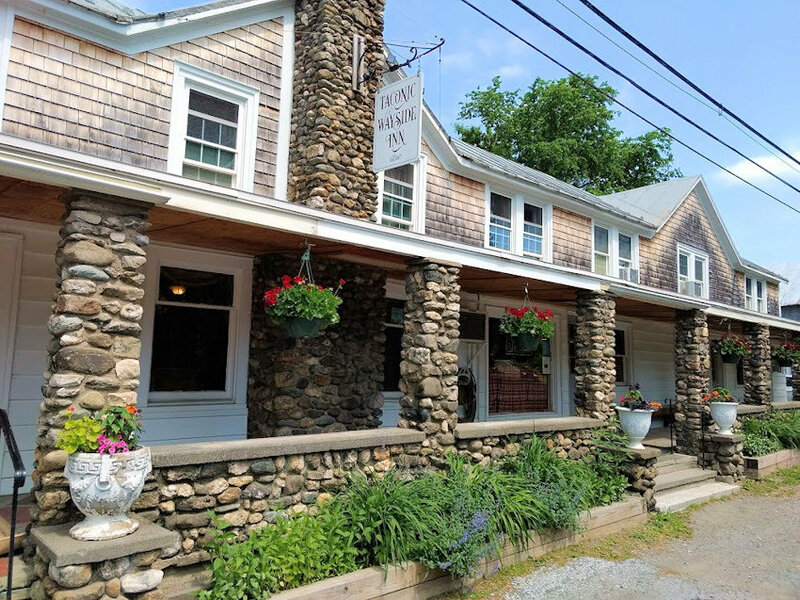 The majority of land is across street from Copake Country Club and the Greens Restaurant, what more could you ask for. Listings consist of 3 parcels, 155.13-1-17, 155.-1-28 & 155.-1-35. Easy to show, survey on hand. Taconic Wayside, Loving Known as The T.I. Owner Financing Available ~ In the hamlet of Copake Falls is one of Columbia County's most popular destinations. Historic Taconic Wayside Inn, Built in 1857. Popular with locals, tourists and campers for years and renowned as favorite watering hole of Babe Ruth! The tavern has been recently updated from the floors up. It features a large L-shaped bar, a row of booths and pool table area that can be changed to accommodate local bands when they take the stage. Just off the bar is the large enclosed outdoor sitting area that accommodates diners as well as bar patrons. Features include; 3 dining rooms (plus outside dining area), covered front porch, 3 apartments, 5 single bedrooms, Lrg. 2-Story Post & Beam barn. Situated on the Eastern border of NY/MA, within walking distance to Bash Bish Falls 5,000 Acre Park. Historic Mount Washington House. Built in 1881, 1st floor currently used as a Tavern & Restaurant with 2nd floor rental apartments and 3 rental cottages in back of property. Large Ballroom on 1st floor for Banquets and Weddings. Large private parking area in back. Original details including original wide board floors, carved original bar, and pressed tin ceilings and walls. Could be purchased and used in current configuration or turned into great B&B/Hotel. Retail conversion a possibility as well. Must see to truly appreciate the possibilities! Located in the center of the Historic Hamlet of Hillsdale, which is on the National Register of Historic Places.